MIdnighter is back with Apollo, has friends, and he still gets to kill the crap out of evildoers. Sounds perfect, right? And it is, especially in this issue, at least until The Gardener's ex-boytoy comes along and Midnighter just has to find Henry Bendix, a mad scientist who had tried to kill an entire nation in Hard. And Bendix is already prepared for this: he locks himself up with Midnighter, who is now unable to teleport out. 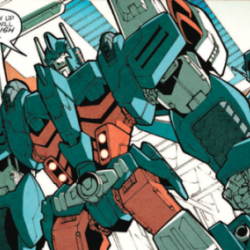 Kill Bendix and he won't get out to stop the show Bendix has planned. 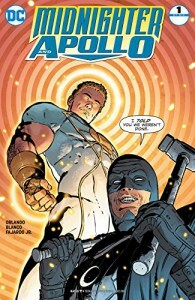 While Apollo fights for his life topside, Midnighter has to make a decision: kill Bendix and watch his lover die, or allow Bendix to live and have a chance to save Apollo. Yeah, that seems much more like Midnighter's life right there.